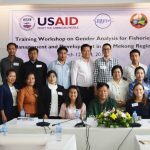 The USAID Oceans and Fisheries Partnership (USAID Oceans) has recently announced the Southeast Asia Business Innovation Competition, to be held in Bangkok, Thailand in 2019. 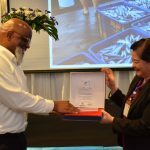 The competition calls for the development of innovative technology solutions to address regional challenges faced in ocean conservation and seafood traceability that impact coastal community livelihoods, marine resources and global food security. The waters of the Asia-Pacific region are home to the most biologically diverse and productive marine ecosystems on Earth. They provide food and income to over 200 million people in the region, a large portion of which are still living in poverty. 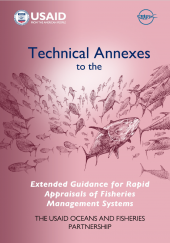 However, the region’s fish stocks and coral reefs are in danger as a result of unsustainable fishing practices, which threaten biodiversity, food security, and livelihoods. 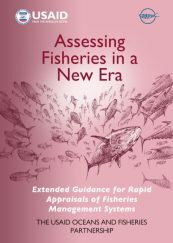 Southeast Asia’s fisheries are in a state of overcapacity, and that overfishing combined with illegal, unreported, unregulated (IUU) and destructive fishing are causing fisheries to collapse. The Competition seeks to expand the region’s business ‘ecosystem’ of companies offering transformative products and services to local, national, and regional customers. 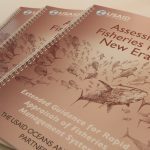 USAID Oceans invites small and start-up business ventures to pitch their cost-effective, scalable technology solutions to investors, social and technological entrepreneurs and potential public and private sector adopters to accelerate their businesses and join the emerging fisheries technology market. Technology solutions, including blockchain, smart sensors, and data analytic tools, have been rapidly developing and acknowledged around the world as the future of sustainable resource management. USAID Oceans believes entrepreneurs and early-stage companies based in Southeast Asia hold unique potential to create localized environmental, social, and business solutions that are practical, scalable and profitable in a rapidly emerging market through private investment and leadership. facilitate data analytics, including machine learning, while ensuring data security. Register your interest to receive more information about this event, including upcoming webinars and boot camps at bit.ly/USAIDOceansBIC.